I am a creature of habit and bedtime is no exception. Before bed, I need to have a little wind-down time. When I was in rehearsals and tech, I got in the bad habit of getting home after 10:30 at night, and staying up even later, so lately I’ve tried to make a push to get in bed by 10, because I have the time to do so. First, I turn off the electronics around 9:30 or 10. I want to get myself away, not just from the supposed blue light that disrupts our sleep, but also away from the constant passive stimulation. I’ve taken to reading at bedtime for a little bit at least. But before I get into bed, I need to do my nightly skin care. It doesn’t take long, but it serves as the official boundary between the day before and the night to come. I gravitate towards lavender and rose scented products, which are very calming. I cleanse with my lemon-lavender scented cleansing balm, apply rosewater toner, and a rose night cream, and head to my bed, clean and lightly scented. Then, I have a cup of tea. I’m fortunate to have such an attentive Boyfriend who makes me my tea most nights. 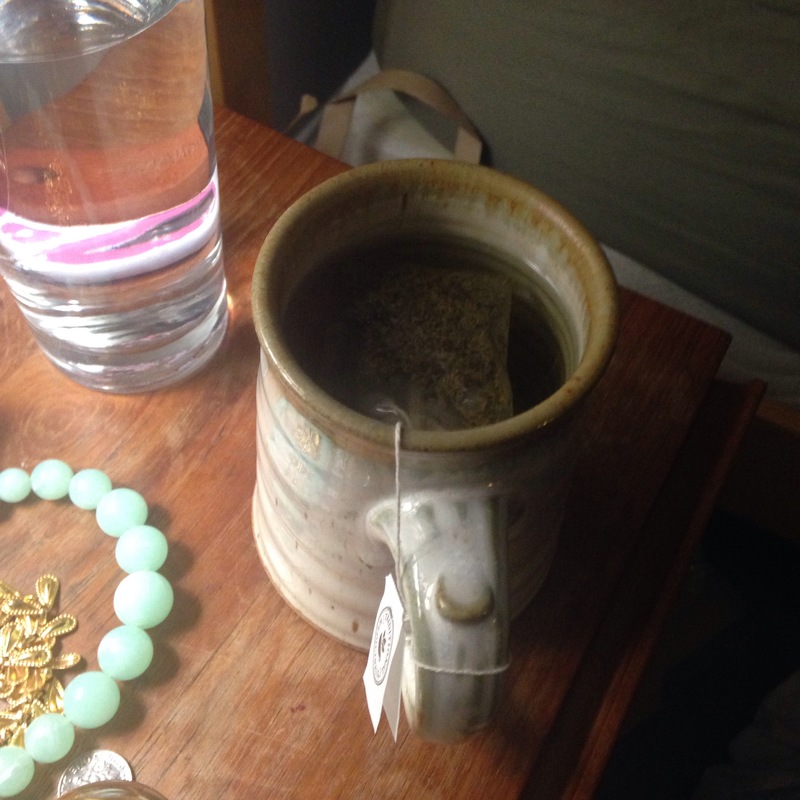 I like chamomile tea with lavender for before bed because they are both calming herbs, and the flavor of the lavender tones down the chamomile, which I don’t like on its own. I will also sometimes have lemon balm, or catnip, both of which are calming, sedative herbs. If I’m feeling very high-strung, I might have a cup of Traditional Medicinals Nighty Night tea with Valerian, which is quite relaxing, but the valerian does make the tea smell a bit like feet. So I save that for when I really need it. I ask Boyfriend to leave the tea and a glass of water on my bedside table, and he usually obliges. So when I return from my vanity, I can change into soft clothes, slip under our thick comforter with a book, and sip my tea until I’m ready to turn off the light. Then all that remains is to switch off my bedside lamp, settle in, and fall asleep.